Retired teacher Janet Jackson spent 20 years teaching in Hillsboro schools. 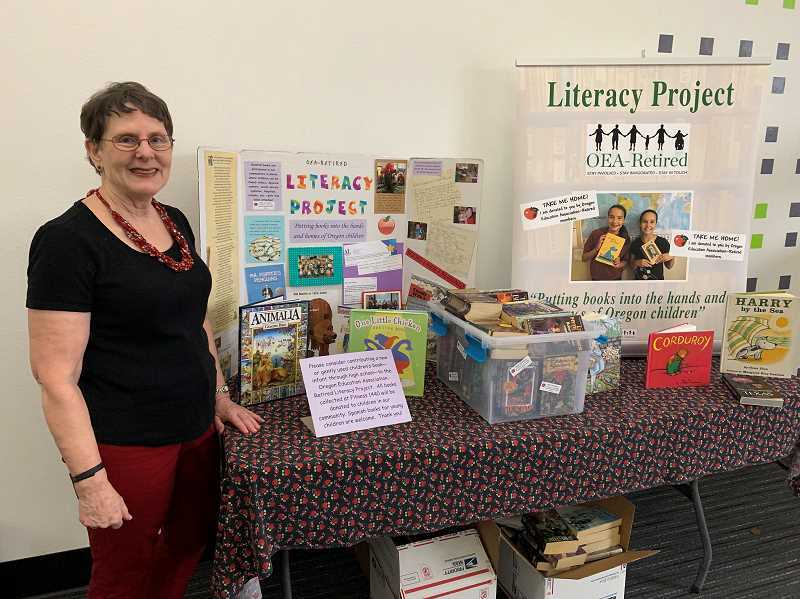 Now a part-time substitute teacher, the Forest Grove resident is serving as the chairwoman for the Oregon Education Association-Retired, which launched a new book drop station in Forest Grove, collecting books to donate to children in need. The book drop at Fitness 1440, 2329 Pacific Ave., is accepting donations through Jan. 27. The group is looking for children and young adult literature, as well as Spanish-language books for children. All the books collected at the gym will be given to Forest Grove, Gaston and Cornelius schools, said Jackson, who lives in Forest Grove. Since Jackson started the goal in 2009, 13,000 books have been donated and hopefully have seen new homes, she said. Jackson, has traveled to counties across Oregon to deliver books to state parks, day care centers and schools. Today, books from the organization's Literacy Project can be found at clinics, social services agencies, schools and hospitals around the state, Jackson said. "It has been extremely successful," Jackson said. "The people we give the books to, the only requirement we ask is the children get to take home the book for-keeps." With screen time from television, tablets and computers competing for children's attention, Jackson said it's more important than ever that kids have a strong connection with reading. Jackson made sure to read to her two children when they were growing up. "We want them to have real books to spend time with and parents to have books to read to them," she said. "Research shows reading to your child sets them up for success," Jackson said. "My grandmother when my son was two months old, she gave me some Golden Books and said, "you need to read to that baby now.'" 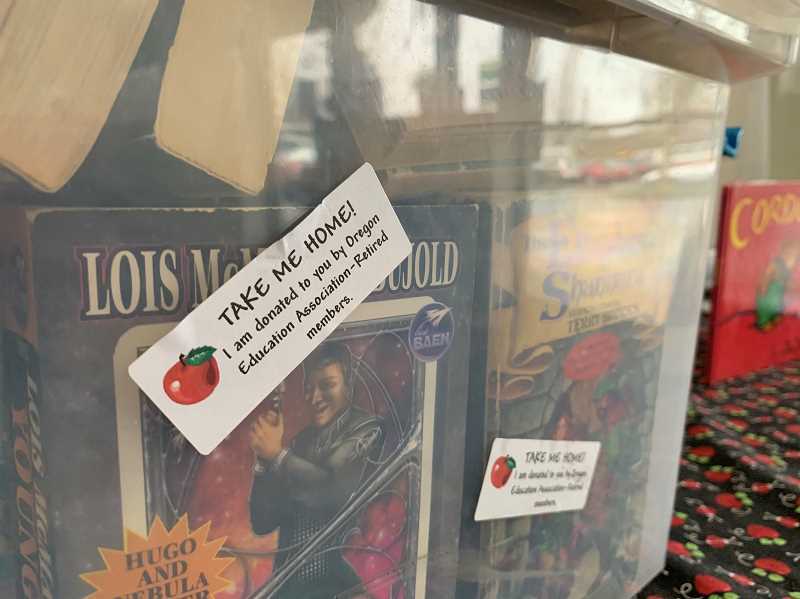 Each book donated to OEA-Retired Literacy Project sports a sticker stating "Take me home!" "We hear all the time that children are excited they get to keep the book," she said. OEA-Retired also reserves funds to purchase books at places like Powell's to purchase more books. Before the book drop at Fitness 1440, places like Virginia Garcia Memorial Health Clinic, Forest Grove Farmer's Market and Fern Hill Elementary in Cornelius have received books in response to the collections by OEA-Retired.